Branch A location, other than the main office, where business is conducted. Payment Term Payment rules imposed by suppliers on their customers. Inco Term Commonly used in both international and domestic trade contracts. Tax A compulsory contribution to state revenue, levied by the government on workers’ income and business profits, or added to the cost of some goods, services, and transactions. Items/Articles – Discount A deduction from the usual cost of something. 1. 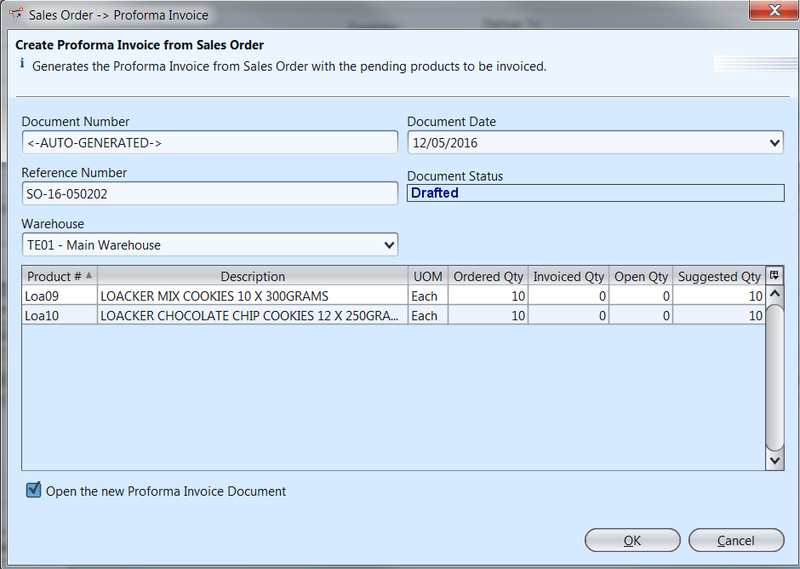 Create proforma invoice through “Sales – (Transaction) Sales Order”. 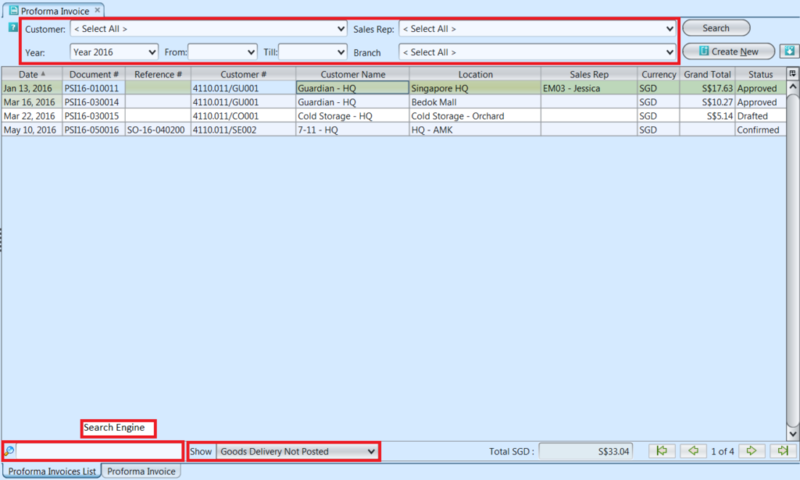 This option is available when ”Immediate” invoice rule was chosen during Sales Order creation. 3. 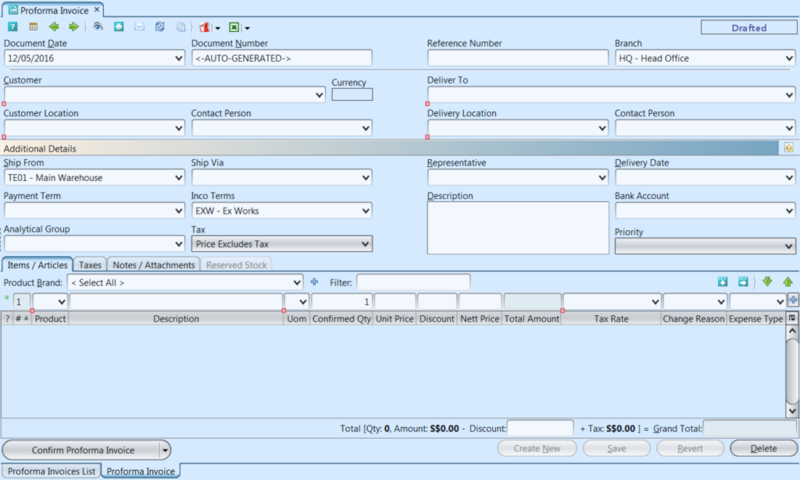 Click arrow on button on bottom left screen of “Sales Order” tab and select “Generate Proforma Invoice” option to generate a new proforma invoice, it will generate a new proforma invoice referenced to the selected sales order. 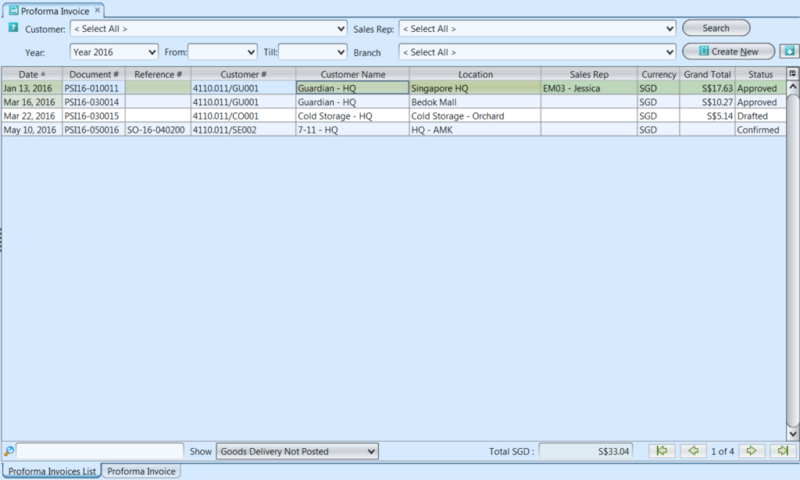 Optional: User may change the Reserved Stock for a particular product to a different batch if they wish to do so, after the Proforma Invoice confirmation. 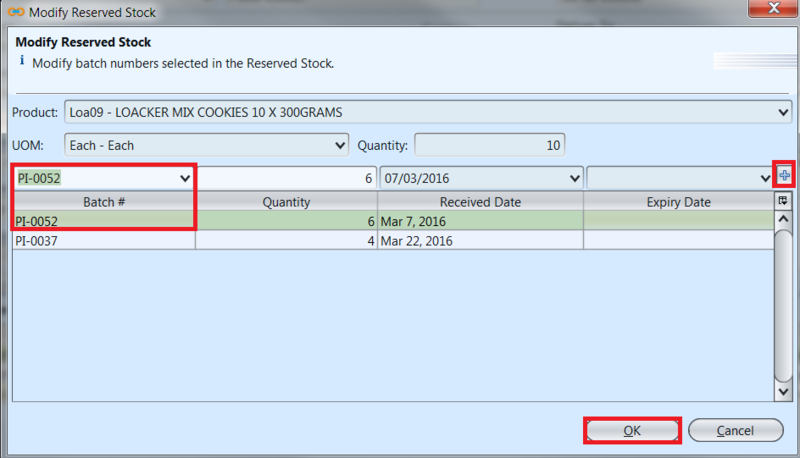 On the “Reserved Stock” tab, click “Modify Batch#” button. 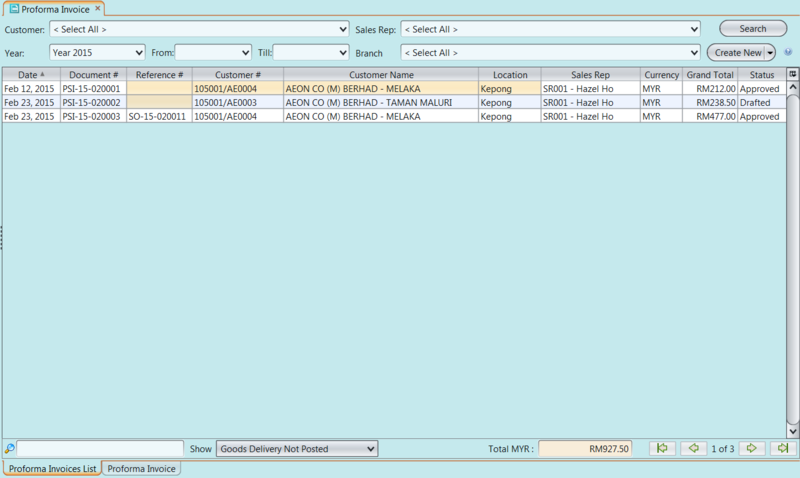 It will open a window for user to select a different batch for ordered product. Click on a batch # from the list and press ENTER or button. Click OK button to commit the change.